At Markham Infiniti, all of our new vehicles and certified pre-owned vehicles come with a basic vehicle warranty. The warranties can vary from new, to used vehicles, but generally cover a specific amount of KM, or time to ensure the life of your vehicle. The basic manufacturer warranty on a new Infiniti vehicle covers the first four years of your vehicle’s life or up to 100,000 KM – whichever comes first. Depending upon the model year of the vehicle, the warranty coverage may vary. The Infiniti basic warranty may not cover your vehicle when you’re going to need it the most. We have information from a huge dataset that allows us to gather this vehicle frequency of repair information. From your first road trip, to your second or third, your vehicle will have a very small repair cost. A vehicle under 50,000 KM will have a minimal cost within the first three years of its life. With age and the increase of kilometers on the odometer, the repair will inevitably increase. When your vehicle reaches the 50,000 KM mark, the cost of ownership and repair will start to go up. Depending on how well you’ve maintained your vehicle, the cost could grow at a significant pace. Eventually, something is going to need repaired. Our comprehensive range of products at Markham Infiniti was developed to cover you if your vehicle experiences issues down the road. To learn more about how to save money when purchasing your new vehicle or used vehicle in Markham, give us a call! 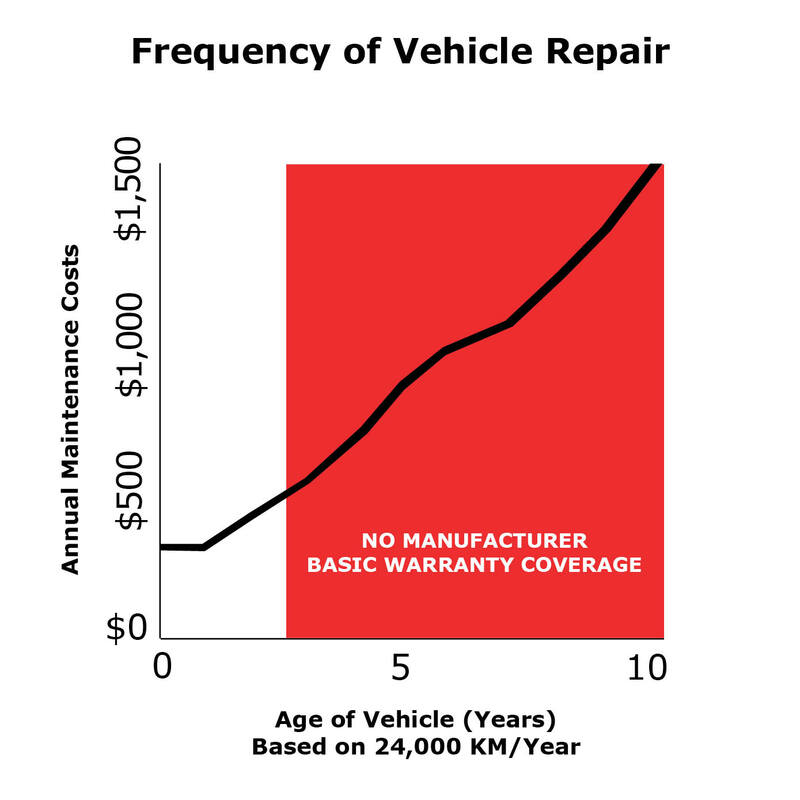 Yes, if you initially decided to decline extended warranty coverage when you bought your vehicle, it’s not too late! It’s possible to minimize your ownership costs after you have purchased your new or used vehicle from Markham Infiniti. Just contact us using the form below, and one of your team members can assist you in finding the right coverage for you and your new or used vehicle!